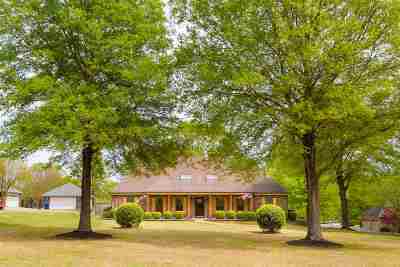 Beautiful, well maintained home in Lakeland city limits! 2 acres! Over 3500sqft! You can have your Lakeland schools and land with no covenants too! 3 beds/2.5 baths down, 1 bed/bath and game room up. Master bedroom has 3 walk-in closets! No carpet downstairs! Sunroom and there is a heated/cooled shop with a garage on the property as well! Large 3 car garage and an all brick home. Stainless steel appliances, large kitchen island with cooktop. This a rare find in Lakeland city limits!